Of course, strategizing is important. However, it’s just as important to take time to recruit top talent for your business. Different to what others might think, recruiting is arduous and time consuming. Still, it’s a must, given that building a strong team is crucial to executing your vision. It’s your employees who will take your company where you are leading it. Because it can make or break your business, recruiting can be overwhelming. Culture is the set of beliefs and habits that a community shares. It is what brings together the people in that community. Company culture applies that definition to a business setting. In other words, company culture is the set of beliefs your employees share. It’s important because it gives your company an identity and a set of moral guidelines that will dictate how your company builds its relationships, internal and external. Look for candidates that fit with your company culture, your business values. Assess the applicants’ hard skills, but also see if they can identify with the things your company stands for, what it represents. Clearly defining your company culture will help you select the best talent that is also the correct fit. In a highly-competitive global arena, excelling at what you do best is often not enough. You also need to look into your weaknesses. Investing time identifying and improving what makes you weak will no doubt make you successful. This introspective will show exactly who you need to recruit. Look for candidates with the skills that best complement your company’s needs. Before starting any recruiting process, analyze your business needs and identify how those needs can be fulfilled. During the interview, ask questions that seek to understand the candidate’s behavior. Assess their emotional intelligence, how they would react in specific scenarios that are probable in your line of business. This interview strategy has been gaining track with the incoming of Millennials into the workforce. Millennials are a generation of workers unlike any other before them. Keep an open mind when recruiting candidates from this generation. They are professional, hardworking people who know very well what they want and are driven. On the other hand, they often have high expectations when it comes to the workplace. Therefore, make sure that their points of view fit with your company culture. If this task seems daunting or overwhelming, you can always seek help from headhunters in Puerto Rico. Sure, a good salary helps attract candidates. However, it’s often not enough to retain the best talent. Talk to your employees. Find out what motivates them, what fuels their desire to excel in their performance. You’ll probably find out that most people are looking for more than the basic 9 to 5. Top talent values things like a comfortable workspace, flexibility and learning opportunities. They want to feel their work contributes to something meaningful. Evaluate your mission, vision and values. Then, incorporate a corporate social responsibility (CSR) program that aligns with those values. It could be getting involved in nonprofit activities, sponsoring charities or developing an in-house environmental program. Remember, your employees are the engine that takes your company places. 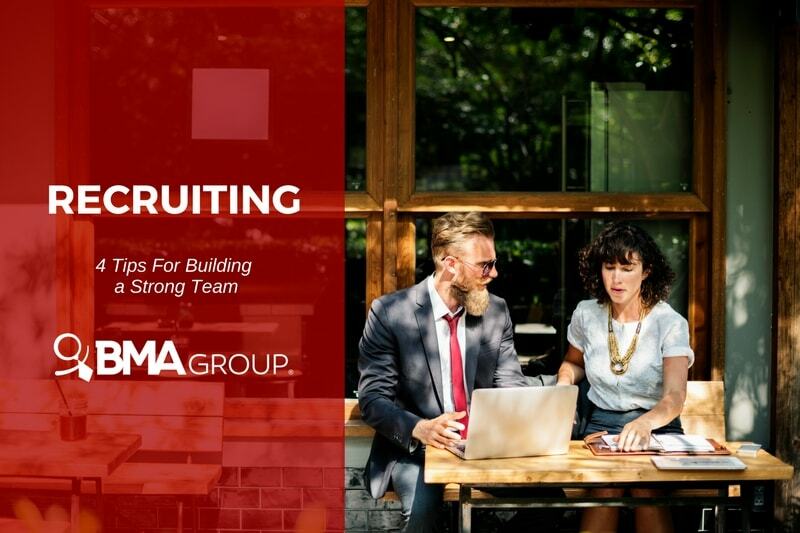 So, keep these tips in mind when recruiting, to ensure you build a strong team that will carry out your mission. Recruiting companies, or headhunters, will help you complete this task in no time.